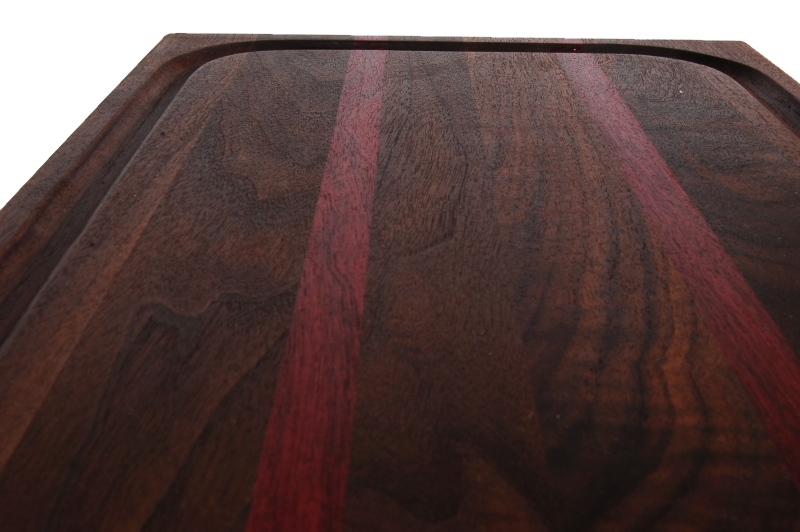 Beautiful side grain walnut cutting board with maroon strips, handles for holding, and a deep juice groove that holds over half a cup of liquids. 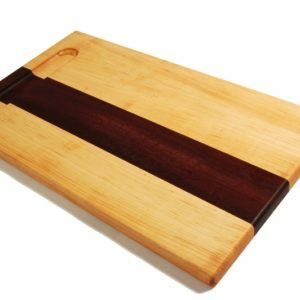 Professional sized board that is built for those people that really like to cook. 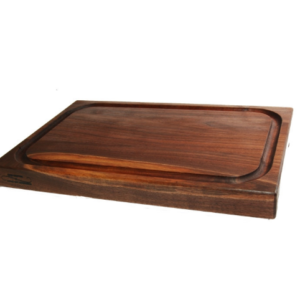 This beautiful board would be the perfect addition to display in any gourmet kitchen. SKU: walnutpro. 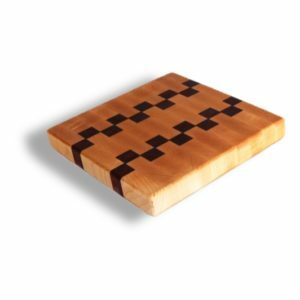 Category: Hand Made Cutting Boards. 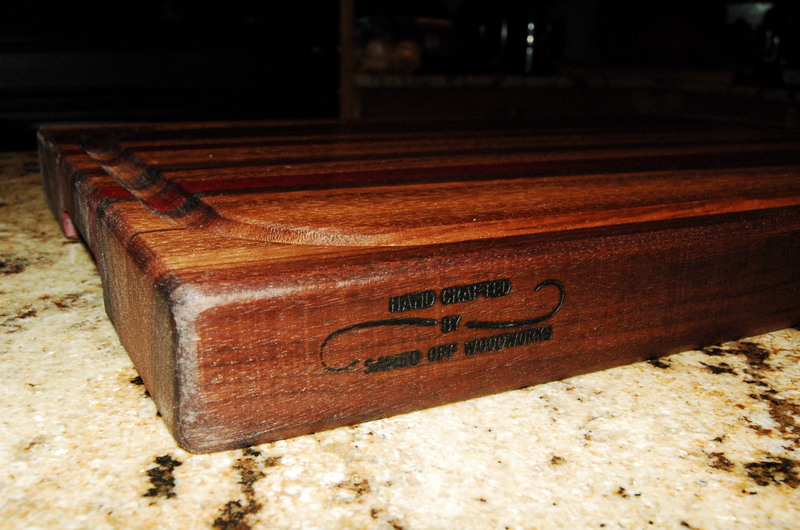 Walnut is a beautiful and durable choice for cutting boards. 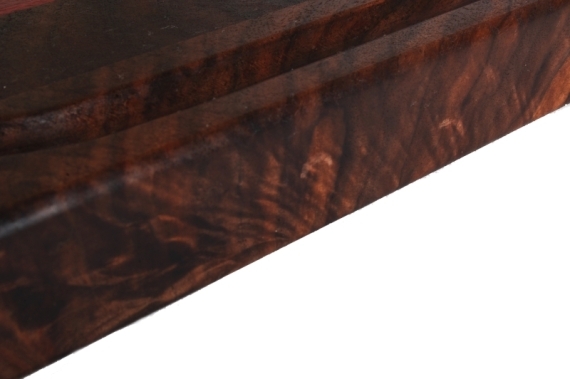 No two boards are alike because of the visible grain pattern that you will get with this wood. From deep browns to lighter beige the variability is a real eye catcher. 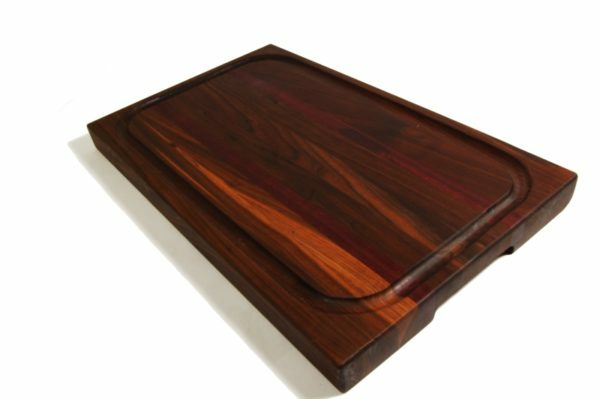 This walnut cutting board is built to last and will decorate your kitchen for many years. 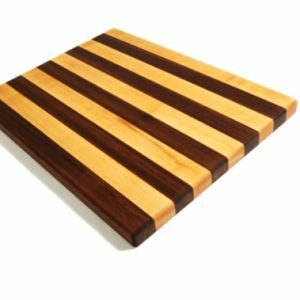 Walnut is a popular choice now with large commercial board manufacturers and their boards are seen on many cooking shows. Walnut is a really dense wood but it has a slightly more open grain structure than maple and can absorb more liquids, but it can be cleaned easily if you follow proper sanitation techniques. Because each one of our boards is handmade, the wooden pieces are carefully chosen to match grains and colors along the seams. 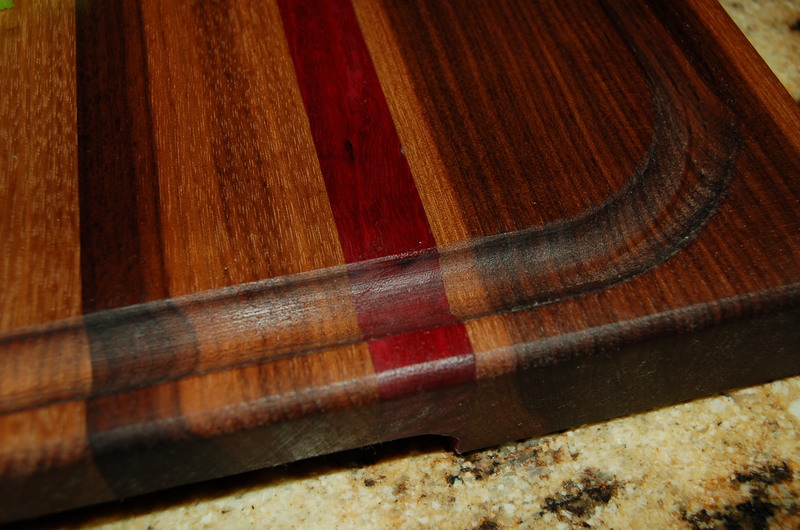 We try to give each board a full range of colors in a beautiful glue-up pattern. The minute I saw this piece I had to have it. The quality and the workmanship is beyond imagination. It is a Christmas gift but I could not wait. My husband loved it and wanted to know what else did they make. I hope they expand to other products soon.